Mobile app development is the process of creating application software to be used mostly in hand held devices such as mobile phones and tablet computers. Over the years the mobile application development market has experienced tremendous advancements owing to the increased penetration of mobile phone usage. Developers are now engaged in a fierce competition to produce the best applications for mobile users. In recent years Iphone and Android have emerged as the top best mobile application development platforms that continue to spread globally and improve the mobile phone user experience. As mentioned earlier, there has been a fierce competition between Iphone and Android. The competition is rightfully owed to the different download options that each platforms offer. Each of the platforms is unique and offer users various games and other mobile phone software downloads. Iphone applications are owned by Apple whereas Android applications are owned and run by Google. 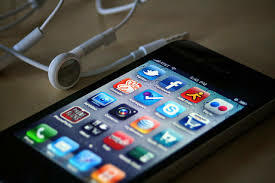 The iphone app marketplace boasts of over 230,000 applications and is exclusively accessible to users of Iphones hence limiting its market penetration, however android app marketplace has about 70,000 applications and is available and accessible through a wide range of mobile phones such as Samsung and Ideos hence increasing Androids penetration. Questions have always been asked as to who has the best applications. The answer to this question is not a straight forward one. Ask each user and you will find that there is a wide variation in preference best on factors such as social networking, music, photo, videos and games. Mobile phones are now not just for communication purpose but they act as all round entertainment gadgets that the world can no longer do without. Presently mobile phones are used for banking, purchase and even providing GPS services. The increased competition in the mobile app development market is of course a benefit to the developers who are now more than ever getting contracts to work and improve on the available mobile platforms in a bid to increase user satisfaction. It is however not all rosy especially for Android application developers who have often raised concern over the high number of free to download apps in the market. Ideally the more apps people pay for then the more the developers will earn. 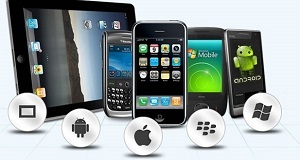 Click here to know more about Mobile App Development. The competition pitting Android versus Iphone is seemingly a healthy one as long as each party respects the set rules and regulation. The main concern of Mobile app development should focus on increasing the user functionality of mobile phones rather than engaging in protracted legal battles that at the end of the day only serve as money and time wasters. This market is projected to experience increased competition more so as technology continues to advance and as the needs of mobile phone users continue to change. Iphone app marketplace and android app marketplace have done well to excite the mobile application development and as a mobile phone user you should expect more innovative ideas.